Five committee members were also elected Reg Escott, Reg Newbey, Ron Yeldon, Barry Mills, and Stan Hobart. Shortly after this meeting, approval was granted by the Katanning Shire Council to use the public streets to conduct the road race events. Subscriptions for the first year was set at one pound one shilling per member. At this meeting it was resolved that six tq's would be built as soon as possible, the members who commited to building these cars were: Messrs Escott, Collins, Haldine,Flugge,PL Bolto and Wakes Garage. 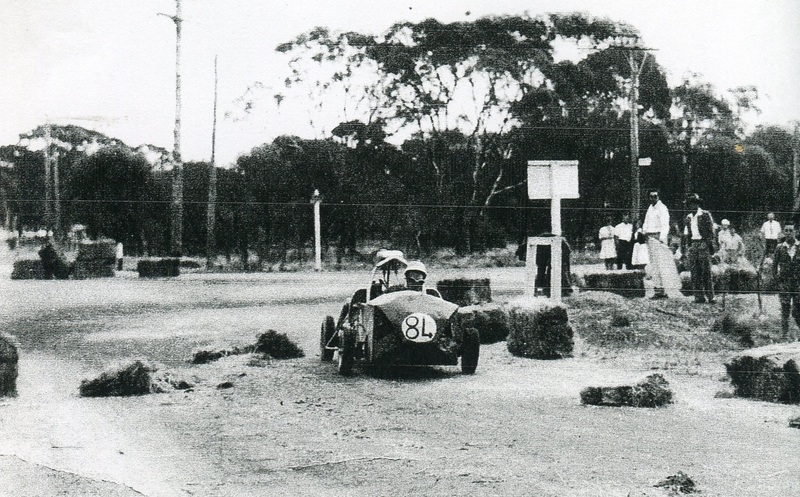 The Katanning club was very active, running about four meeting's on the triangular circuit within the Clive Street - Albion Street and Beaufort Street, Part of this circuit was still a gravel surface. 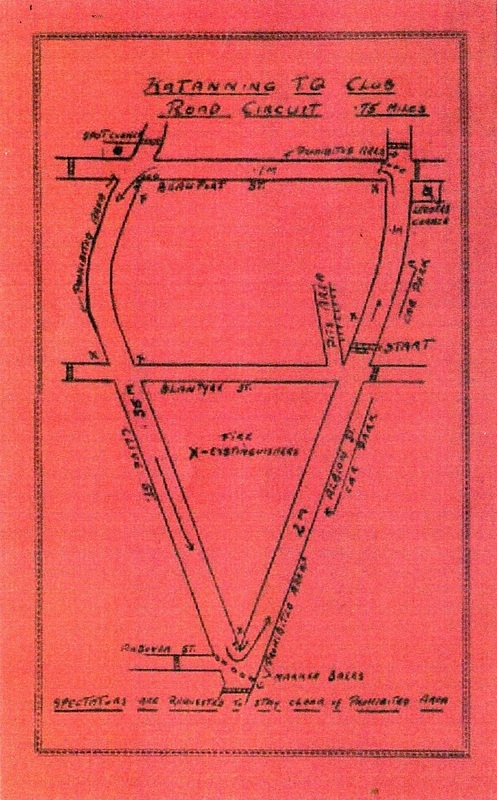 Racing was in a anti-clockwise direction. The other circuit used was right in central Katanning, it ran around the main shopping area and school in a clockwise direction, taking in the main street - Dapping Street - and . 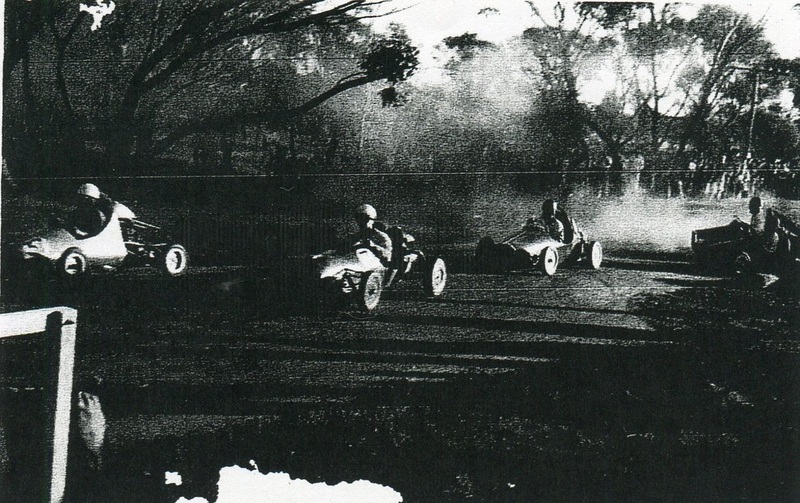 The Katanning club also ran race meetings at Wagin 1962 and Kojonup 1960. 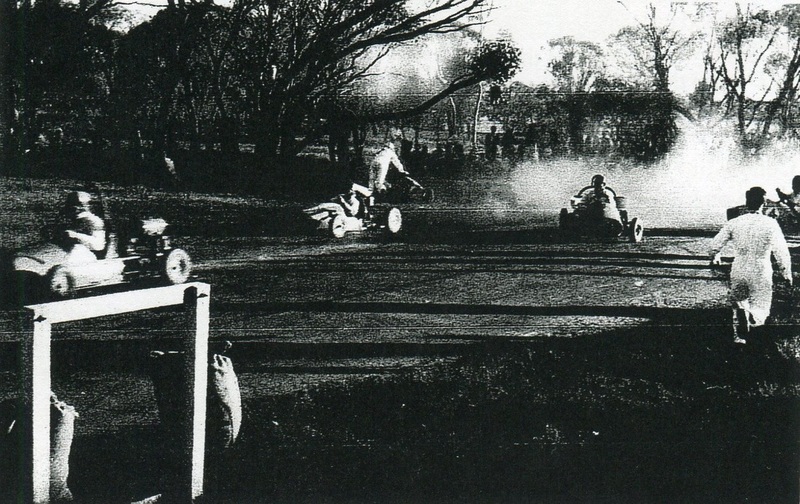 There were other events held at speedway's or short course circuit's such as Dumbleyung - Tambellup and Lake Moodiarrup along witk Katanning Speedway. The first tq race meeting organized by the Katanning tq Car Club was a road race meeting around the streets of Katanning, the course was triangular, bounded by Clive Street, Beaufort Street and Albion Street, a number of drivers from around the state nominated for the first race meeting. 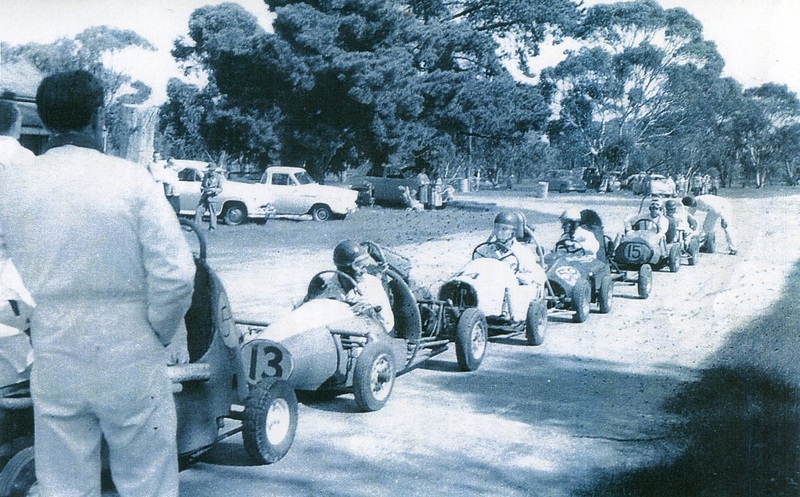 Local Katanning drivers were: R Swindells, G Flugge, R Escott, Bill Newbey, H Hicks, along with E Moore, E McAuliffe, A Caldwell, M Dennis, D Thompson and I Bolto. Some of these drivers shared a car,Although the visiting drivers took out most of the honours, local drivers watched by a large and appreciative crowd acquitted themselves well and gained considerable experience. 1959 - Truby - Weinert - Wally Higgs - Doug Pearson inside - Redge Newby outside. Photo: unknown. 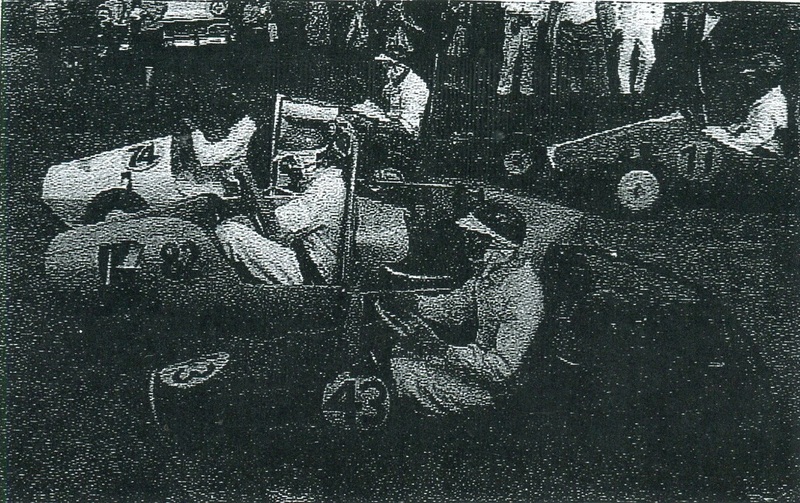 1959 - Max Taylor - Doug Pearson - Neville Hyder - Bill Theyer. Photo: unknown. 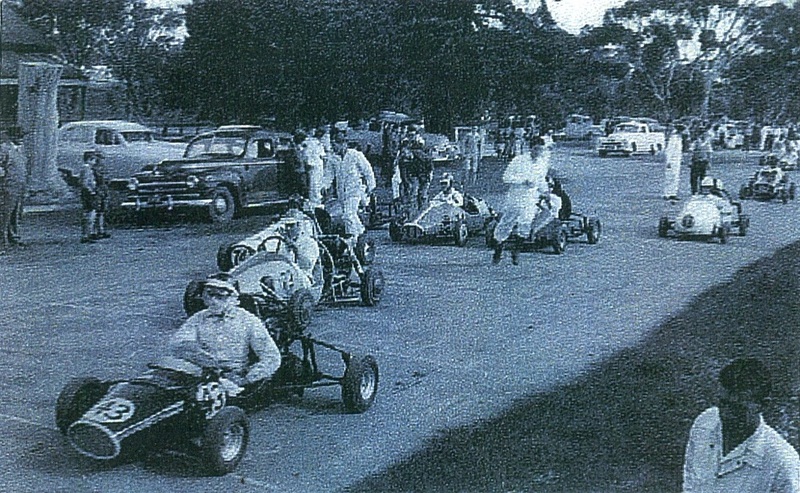 1959 Starting grid of 43 Peter Marley Wagin 82 Ian Bolto Katanning 74 Doug Pearson Katanning ? Charlie Pearson Albany 11 Murray Dennis Katanning. Photo: unknown. 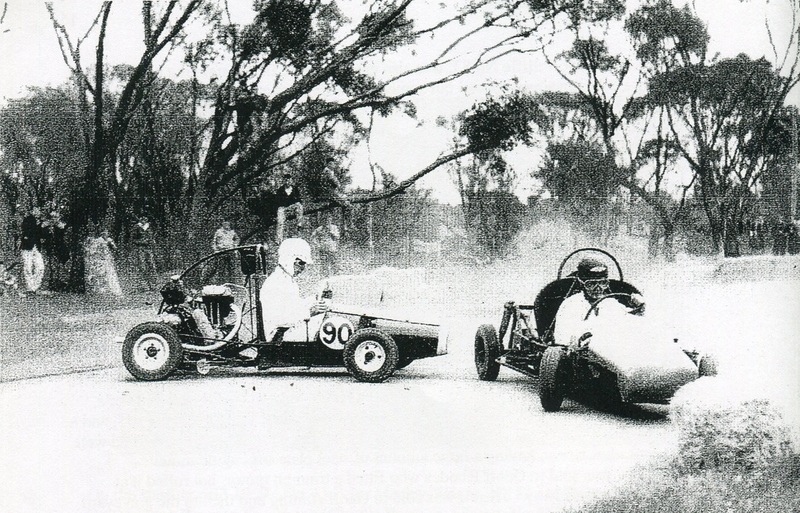 1959 The hairpin and correct gearing choices was asential at Katanning - Reg Newby from Katanning leads Max Taylor from Albany with Perth driver Wally Higgs out wide. Photo: unknown. 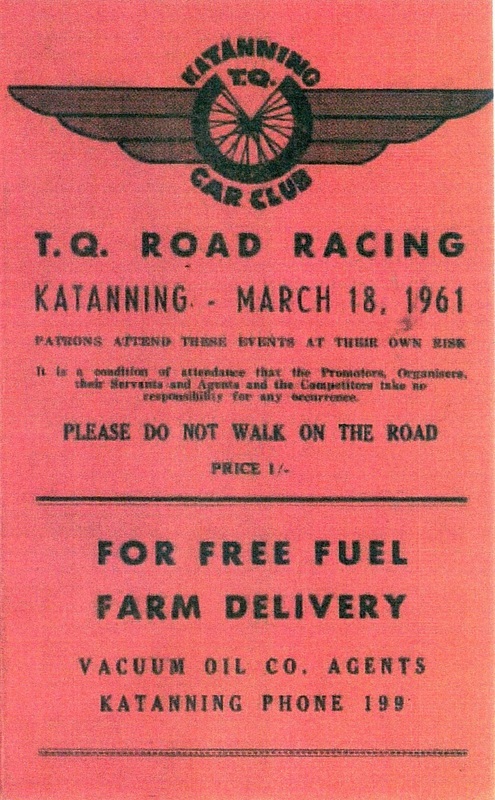 The WA tq road racing championships were scheduled to be held on the Katanning street circuit on the 26th of March 1960, Due to heavy rain only two races were completed and the remainder of the meeting had to be cancelled, these titles were held in Kojanup at a latter date. A second meeting was held on the 22nd of August 1960. 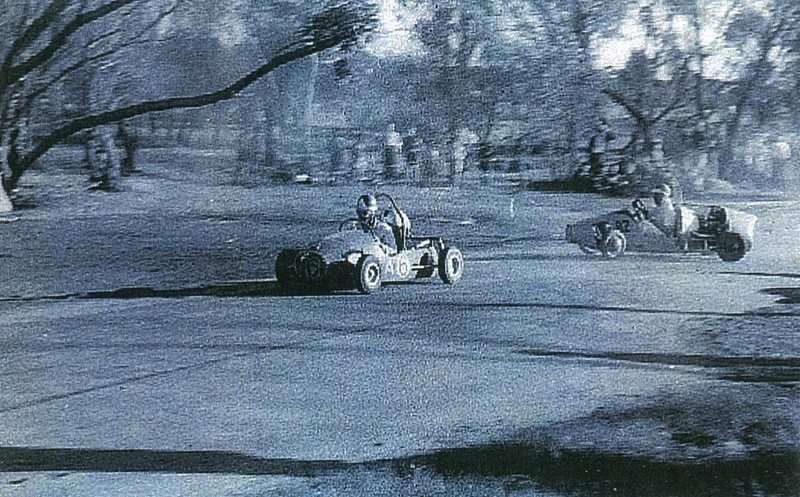 1960 Local Chris Alabach in the number 90 AJS is narrowly missed by Thompson in the Norton. Photo: unknown. 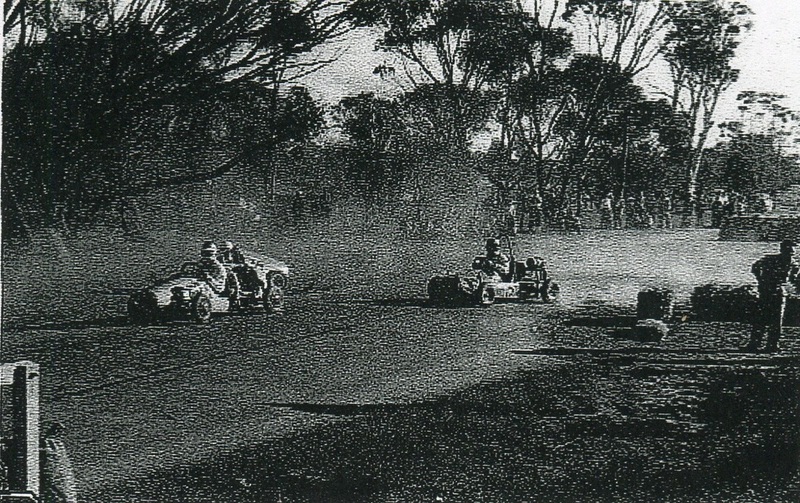 1960 Sounness from Mount Barker in an Austin 7 - Doug Pearson from Albany - Laurie Hordacre Norton v twin from Mt Barker - Williamson BSA twin from Mt Barker - Max Taylor from Albany and Jack Rowe at the rear. Photo: unknown. 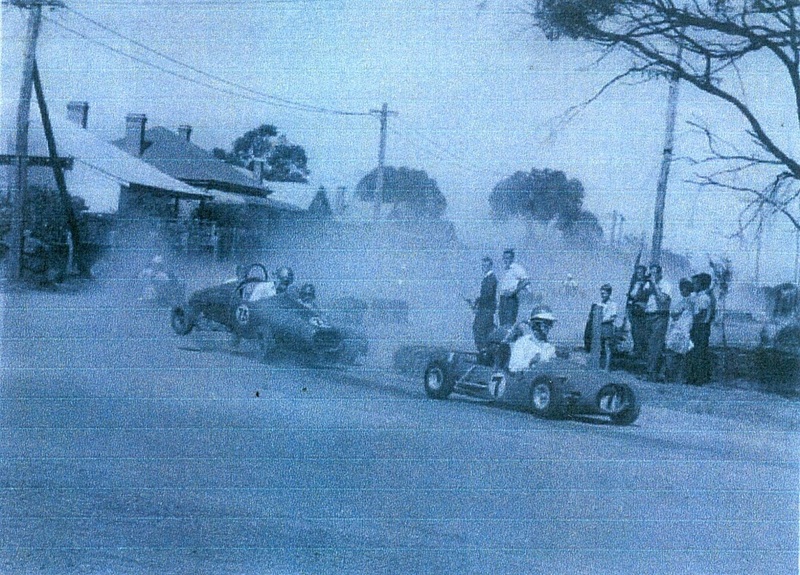 Tq road racing organised by the Katanning tq Car Club was held around the streets of Katanning on the 18th of March 1961. 1961 Local driver Anthony Caldwell in a spot of bother at the hairpin. Photo: unknown. In the year of 1972, Andy Cowan was a stand out rider at the Katanning "Round the Houses" event on his CZ400 scrambler fitted with road tyres. Andy would go on to ride solo motorcycles at Claremont Speedway before riding for several English Speedway League teams in Britain from 1975 to 1977.